For oily and combination skin. Gentle yet effective cleansing care to deep cleanse and remove daily dirt and grime and prepare your skin for the nourishment and protection of your Lavera cream. 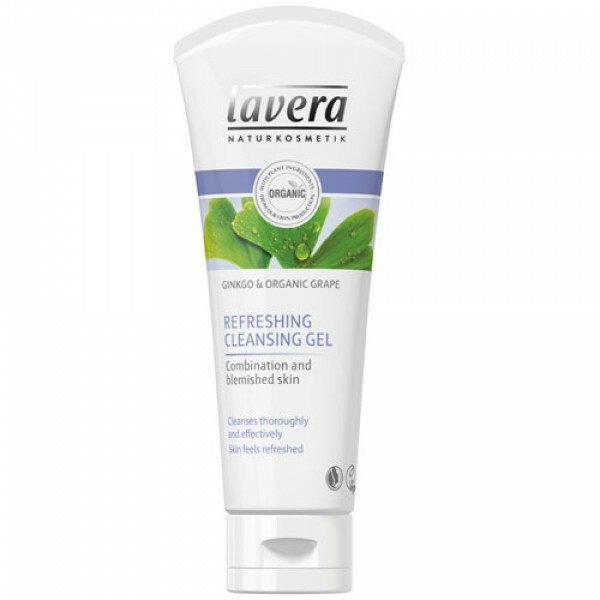 Give oily and combination skin types a revitalising boost with Lavera Refreshing Cleansing Gel and say goodbye to dull skin days. Ginko Tree Leaf extract helps to stimulate circulation and promote cell regeneration for brighter and clearer skin, while anti-oxidant Organic Grape smoothes and encourages a healthy glow. Formerly known as Lavera Invigorating Cleansing Gel.